The Time is Now. New eCourse just launched. Calling possibilitarians from across the globe. We invite you to join us for an productivity and planning ecourse to program your business GPS for 2016. 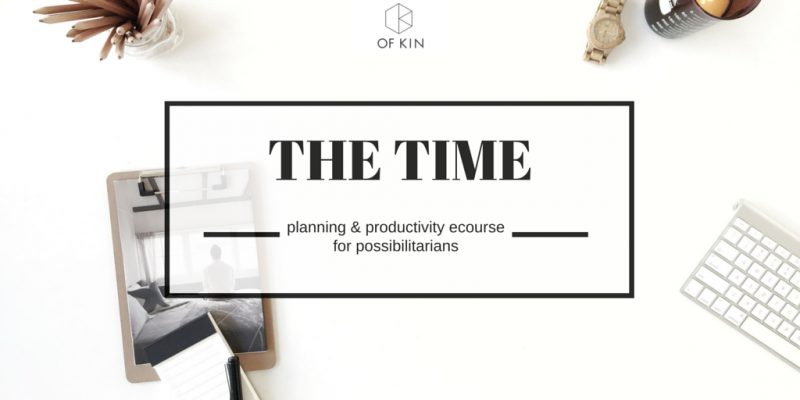 We’ve just unlocked the doors to our newest ecourse, The Time. 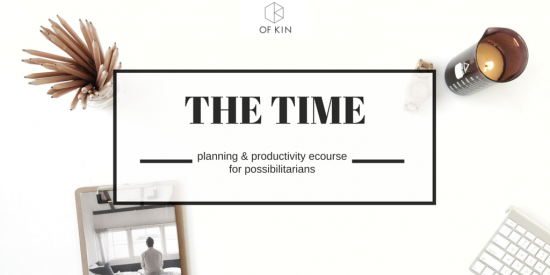 This is a creative and interactive 6 week ecourse for curious and entrepreneurial types, exploring your business goals, getting to what is essential, planning tools, dealing with stress and overwhelm, and becoming the master of your time and energy with a good dose of self care. It’s like a day spa for your business brain! 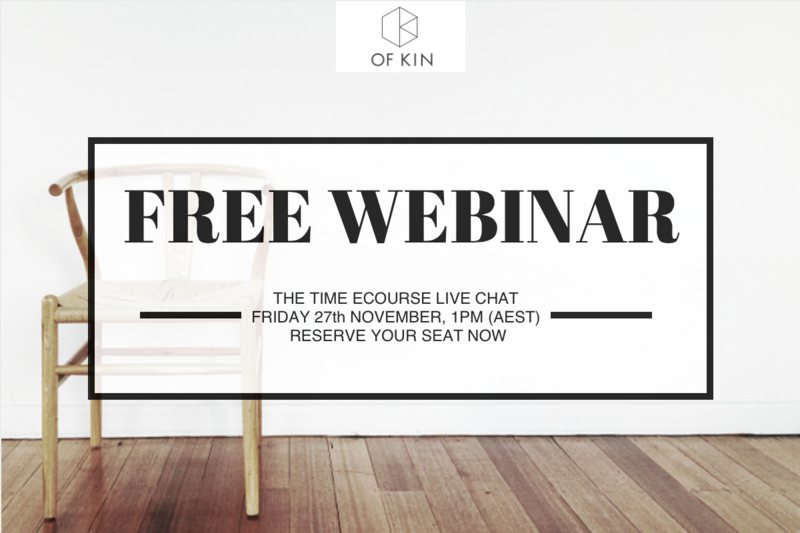 Free Webinar: Want to suss it out before you sign up? Listen to our free webinar to suss out more about the course before you commit to spending 6 weeks us! Get to know a bit more about our newest eCourse The Time, and what it’s like to take our online course. You know how you say ‘I don’t have enough time to work ON my business’ or ‘I’m too busy to plan!’ or ‘I’m flat out but don’t feel like I’m getting where I want to be’? Download the noise that’s in your head, and upload habits that serve your beliefs and priorities. We give you permission to buy those coloured pens, stockpile those post it notes, create a stash of raw chocloate and join an online studio full of whole hearted biz types like you. 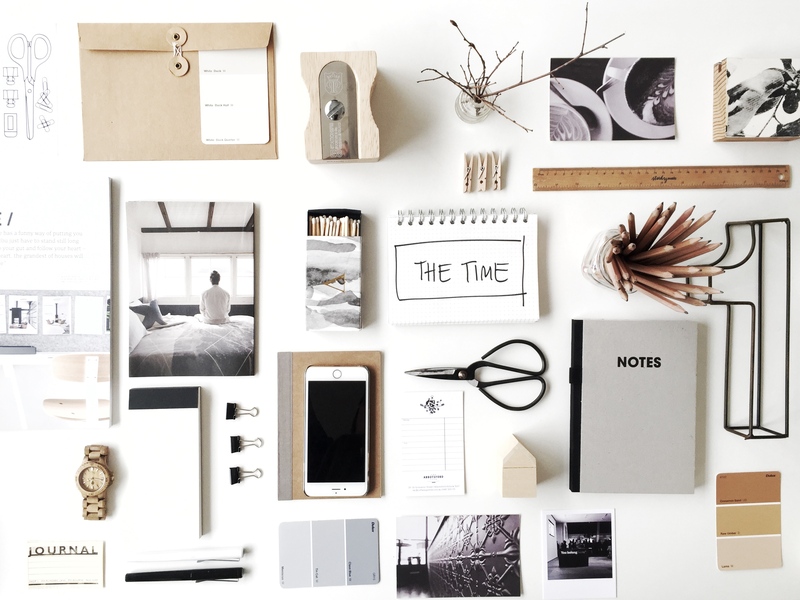 This isn’t your average goal setting or time management course. We’re created this course by drawing on the latest research into positive psychology, resilence, happiness, productivity, mindsets and mindfulness, stress, energy management, character strengths, neurobiology and the progress principle. With backgrounds in psychology, sociology, communication, entrepreneurship and coaching, we’ve also tapped into world leading thinkers to create a one of a kind ecourse. This is the course we wished existed for ourselves in our business so we created it for everyone. You’re likely to be (but not exclusively!) a small to medium business owner, with a wholehearted, creative and curious entrepreneurial spirit at your core. You’re craving time and space to think and plan, especially with the new financial year starting. You’re perhaps feeling overwhelmed with the day-to-day juggle of working and living the way you’d like to. You want to work your way. You’re keen on designing your own path. You’ve maybe thought about getting a business coach, but wasn’t completely sold on the idea. Maybe you’ve got a bunch of questions and want to hang out with peeps that can answer them. Come learn, engage and plan! From day one you will have access to all 6 Packets. Then each week during the course we’ll email you to introduce each packet on the website. Each Packet is made up of videos, text, slides, pdfs, templates and checklists. The feedback on the course material has been amazing, everyone loves the variety of engaging content we are able to provide via online learning. The course is filled to the brim with education, inspiration, ideas, examples, and activities to supercharge your life. We’ve been delivering workshops to hundreds of students in intimate group settings across Australia for several years. Now we’re inviting you to join us (whether you’re in Sale, Sweden or South Africa – it doesn’t matter!). Here’s what other kin have said about The Time. Join us as we take our possibles, and turn them into probables. 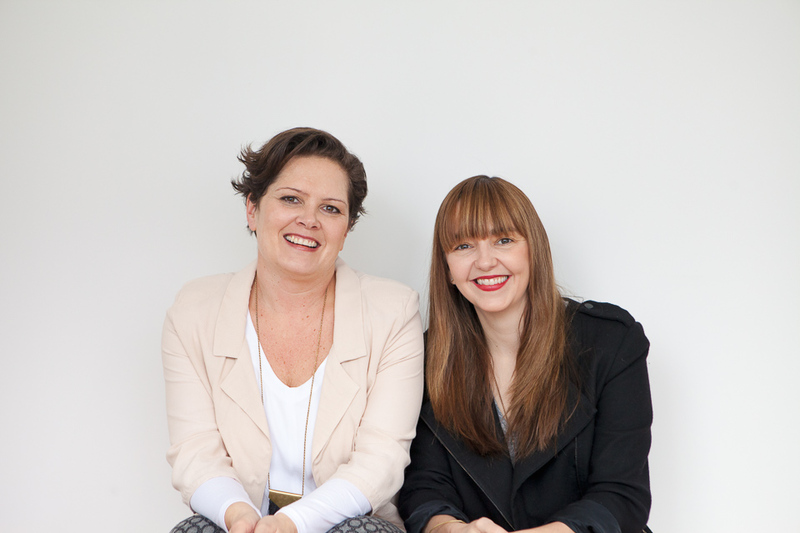 We’d love to host you in our online studio to kickstart the new year with calm, clarity, grace and a whole bunch of skills to bring your plans to life in 2016. Enrol now.